Week by week, more headlines surrounding cyber attacks and security vulnerabilities are popping up, discussing how millions of consumer and businesses around the world are affected. Big scandals on data protection are now happening on a worryingly regular basis. However, the world of cybersecurity business seems to be doing okay, with revenues in the sector going up by eleven percent each year. Global spending on cybersecurity is expected to surpass a trillion dollars between 2017 and 2021, according to a recent report from Cybersecurity Ventures. In the past two years, the number of businesses falling victim to data protection attacks in the UK double, and according to figures there were nine hundred and eighteen data breaches, affecting almost two billion data records in the first half of 2017, one hundred and sixty four percent more than 2016. But what was the primary cause? The rise in mobile and smart device usage in companies and network perimeters becoming edgeless are a main problem, meaning there are more points of vulnerability, providing attackers with more points of access. As networks have steadily involved in the past few decades, many common approaches to cyber security are not to a necessary standard these days. From firewalls to anti-virus software, many forms of cyber protection have become less effective over time. The Kill Chain Model by Lockheed Martin, doesn’t consider the detection of threats that manage to get past the perimeter firewall, despite how it focuses on malware and intrusion. This is a model that many businesses build their cyber defences around. information within the cybersecurity database means that analysis has the ability to boost defenses and improve prevention, detection and response to cyber-attacks across the globe. The ability to spot threats in every area of the wireless network is key to effectiveness in cybersecurity. However, it doesn’t simply end there. Cybersecurity needs to adjust its focus to detection-based, anti-threat software that incorporates AI and ML systems, with the ability to counteract suspicious behaviour. This must be acted on fast for the future of cybersecurity. AI and ML are crucial in order to improve response time, as every second counts during an active breach. Fast cyber-attack detection can limit business impact by up to seventy percent, according to research from Cyber adAPT and Aberdeen Group. A real world example of this would be Oracle, which had a fast response to an application of vulnerability, but by that point the attacker had already walked away with $226,000 of cryptocurrency in the time to patch the threat. 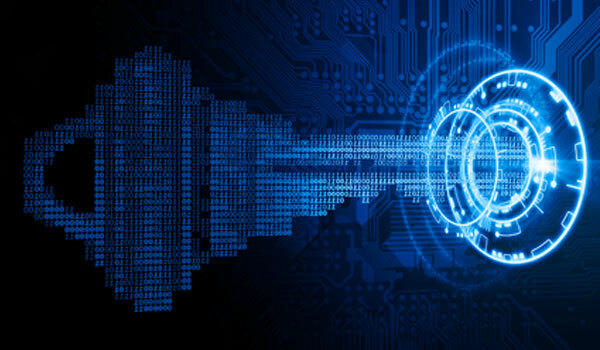 Cybersecurity providers must emphasise even more so on the real-time detection of threats and response speed in order to keep up with expectations and promises. Faster detection and intelligent, rapid recovery solutions can lower the impact of attacks. This will enable $75 billion cybersecurity industry to offer better value to its customers. Whitehall Media events are a way to bring professional consumers and the cybersecurity industry together and bring a safe environment to businesses in a digital world. If your company wants to showcase something new to the cybersecurity field, then ​please enquire about becoming a sponsor for one of our conferences today.